You deserve to live a healthy life. Ontario Bioidentical Hormones Specialist, Carla E. Peppler, RPN, BNSc, MPA, RN(EC), NP-PHC is a Nurse Practitioner with advanced education, holding multiple degrees and certifications. She uses her extensive experience and knowledge to find the root cause of illness, and utilizes Bioidentical Hormone Replacement Therapy to heal the whole person, not merely treat each symptom. Carla Peppler is passionate about becoming a healthcare partner with her patients, imparting care and knowledge to support them in reaching their health goals. Ontario Bioidentical Hormones Specialist Carla Peppler, RN(EC), NP-PHC is a Registered Nurse Practitioner who brings a unique perspective to treat a wide variety of chronic medical conditions. Where traditional methods attempt to treat an illness, Carla treats the person. Knowledgeable in both traditional medicine and complementary therapies, she brings the best of both worlds together. Wellness is the natural state of the body, which Carla has learned to help restore by balancing hormones, implementing Bioidentical Hormone Therapy, and helping patients make healthy lifestyle changes. A wide variety of body processes are carried out by the endocrine system through chemical messengers called hormones. The endocrine system is a collection of glands that produce hormones, which regulate growth, metabolism, and sexual development and function. These glands release hormones directly into the blood stream where they are transported to organs and tissues throughout the entire body. The major glands of the endocrine system are the pineal gland, pituitary gland, thyroid gland, thymus, adrenal glands, pancreas, ovaries, and testes. The body has many different types of hormones. Some of the more known hormones are estrogen, progesterone, testosterone, cortisol, DHEA, and thyroid hormone. They work together to control body functions. Keeping them balanced is important for good health. As aging occurs, hormone levels can change, and while some hormones may increase, others may decline. These changes can create a state of hormone imbalance. 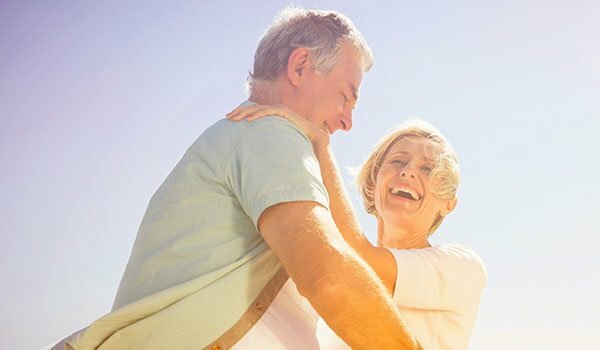 Many age-related diseases and health challenges are commonly associated with hormone imbalance, and Bioidentical Hormone Replacement Therapy can help a number of these syndromes caused from hormonal imbalances. The symptoms of hormone imbalances are many, and may include fatigue, weight gain, loss of muscle strength, anxiety, depression, mood swings, brain fog, irritability, PMS, menstrual irregularities, hot flashes, infertility, sexual dysfunction, thinning or loss of hair, swelling, headache, insomnia, dizziness upon standing, hypoglycemia, and sensitivity to weather changes or smells. Combining a complete history and evaluation of signs and symptoms with the hormonal test results, such as saliva or blood testing, Ontario Bioidentical Hormones Specialist, Carla Peppler will work with patients to jointly create a health care plan to address individual health concerns. Carla can help patients determine if Bioidentical Hormone Replacement is an appropriate option for them to consider. Other treatment options may also be recommended, such as lifestyle changes, diet modifications, supplements, or other therapies. Through Bioidentical Hormone Replacement Therapy, Ontario Bioidentical Hormones Specialist, Carla Peppler has guided many patients back to health and wellness. Questions? Please call Carla E. Peppler, RN(EC), NP-PHC at the Heartful Wellness Centre directly at 800-775-4902 Ext. 419 to schedule your consultation, discuss your symptoms and decide on a course of treatment for your specific needs.